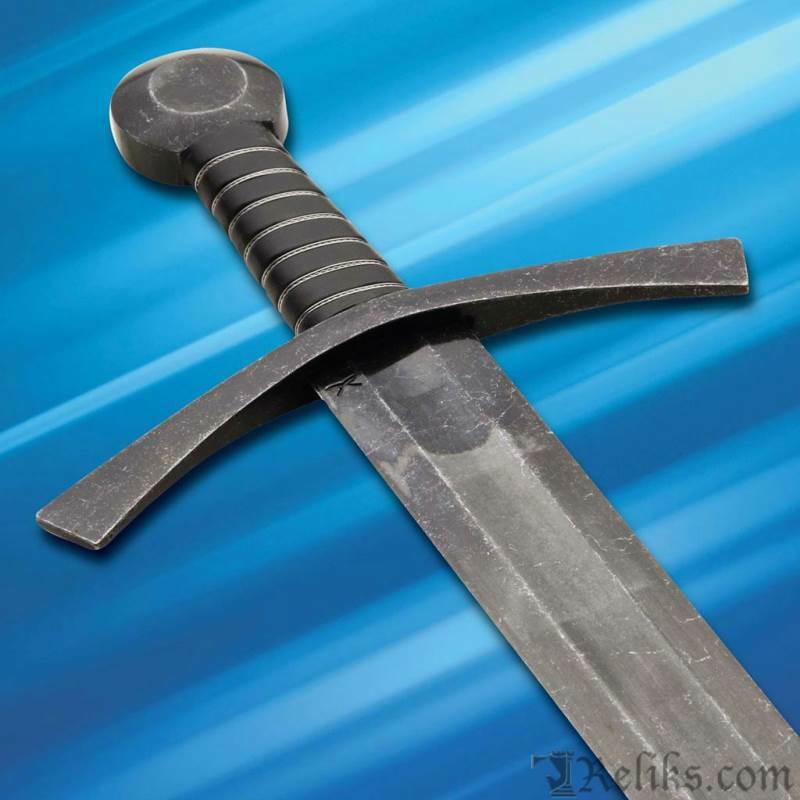 This medieval Acre Crusader Broadsword from Windlass Steelcrafts BattleCry collection is a formidable weapon of proven worth. 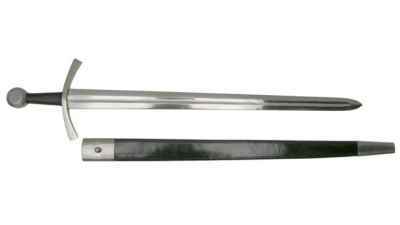 This classic knightly sword was idea for sword and shield or sword and buckler combat whether on foot or horseback. 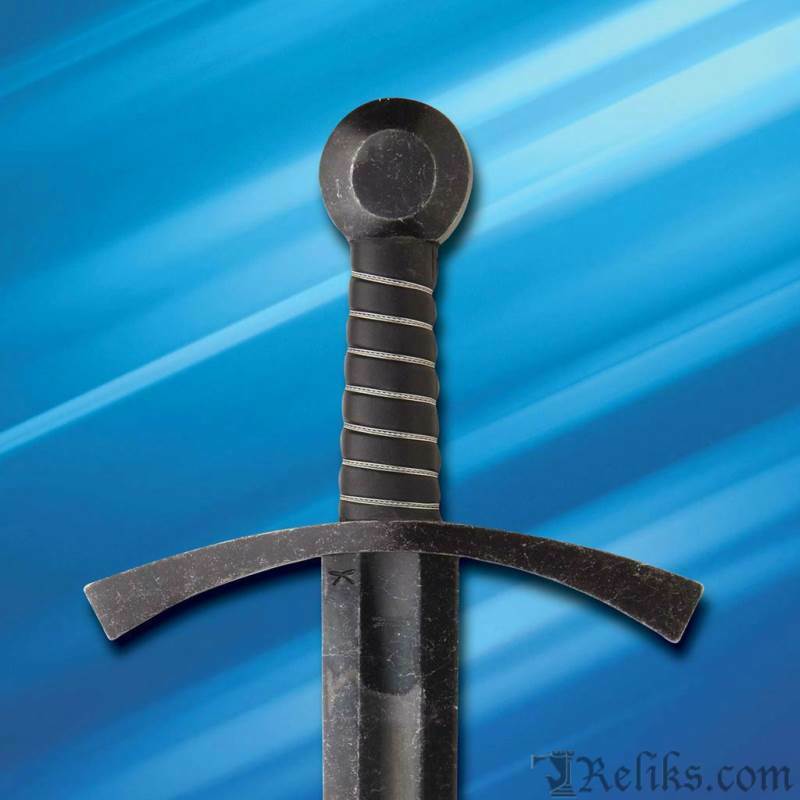 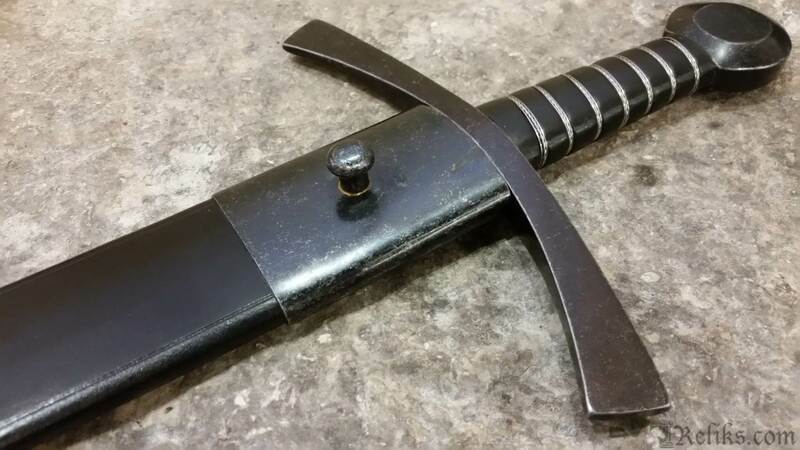 The Acre crusader sword is a stout and fearsome blade that takes advantage of its heft, width, and center and gravity to deliver deadly slashing cuts and hacking blows as well as thrusts. 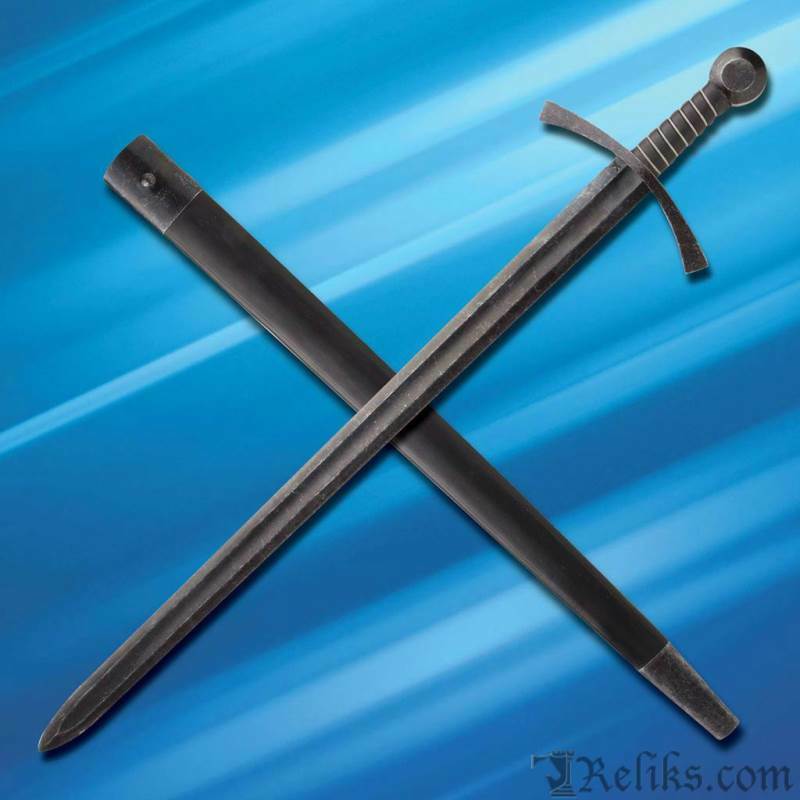 One can easily imagine how this weapon shredded both mail and leather armors across Europe and Asia-minor for centuries. 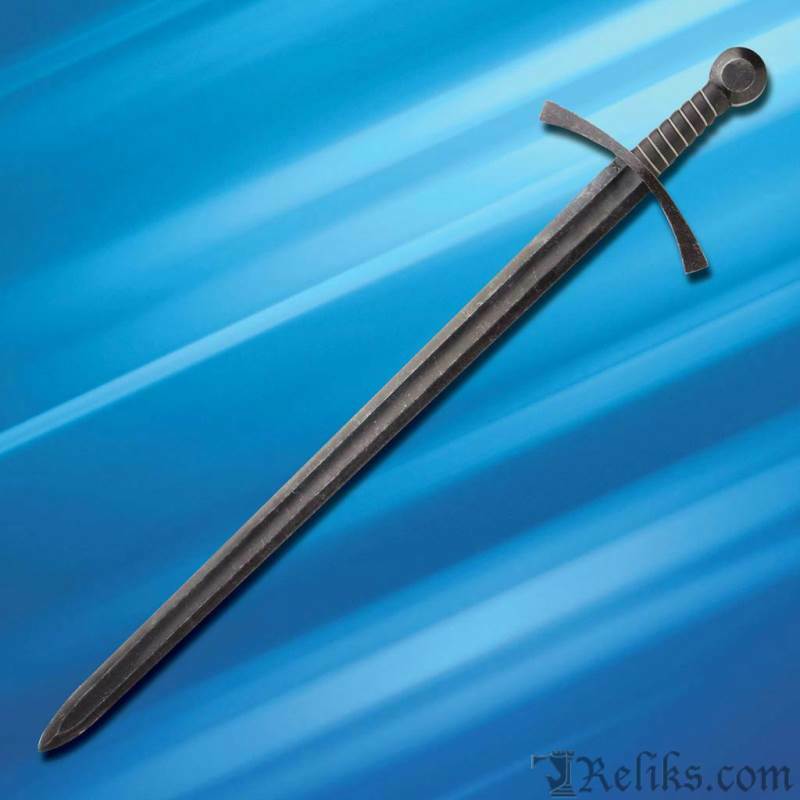 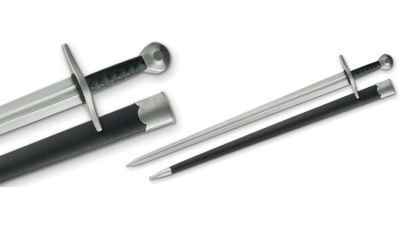 With a wide cross-guard of over 8" it's no sword for the softhearted or weak-spirited. 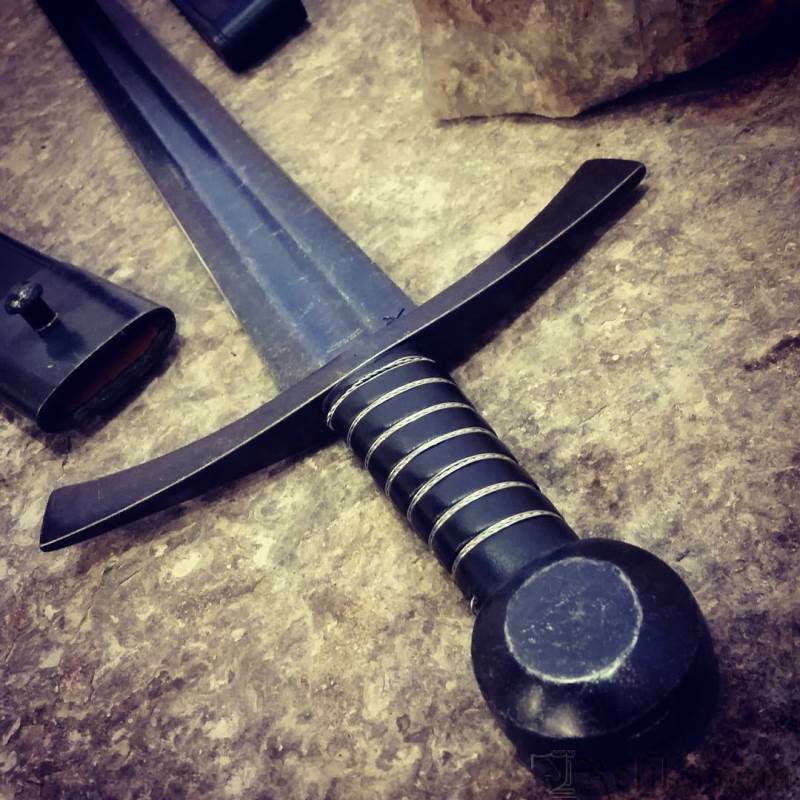 Its practical cruciform hilt with single-hand grip and disc pommel was to be the functional model for countless other sword styles to follow. 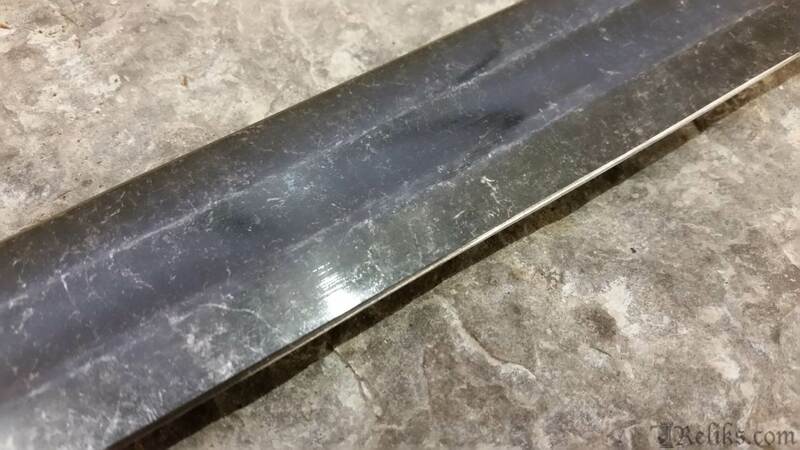 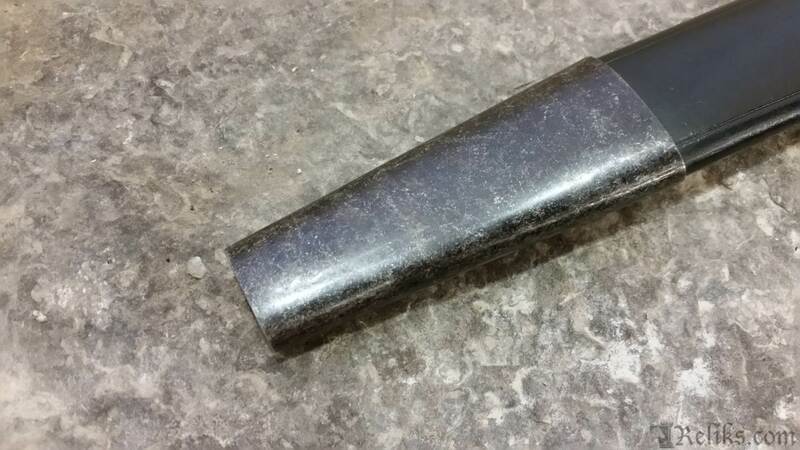 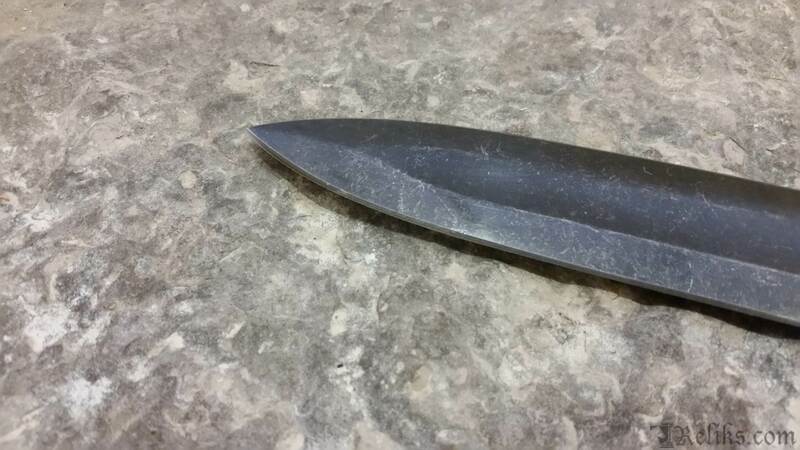 To know why and how the Medieval warrior became so successful you could do no better than starting with this blade. 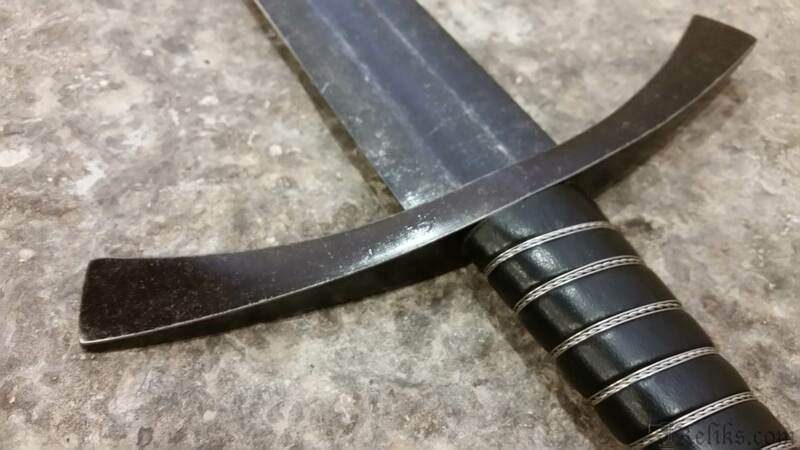 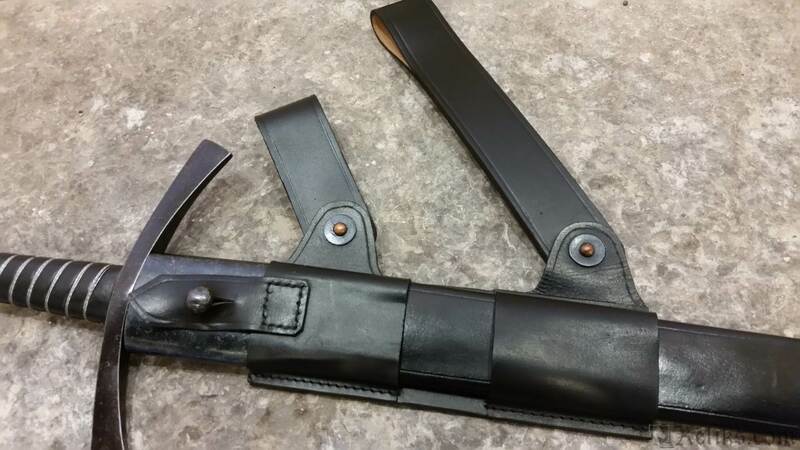 Includes a matching scabbard with belt stop, custom packaging and certificate of authenticity signed by each smith that touched your blade through every step of the forging process. 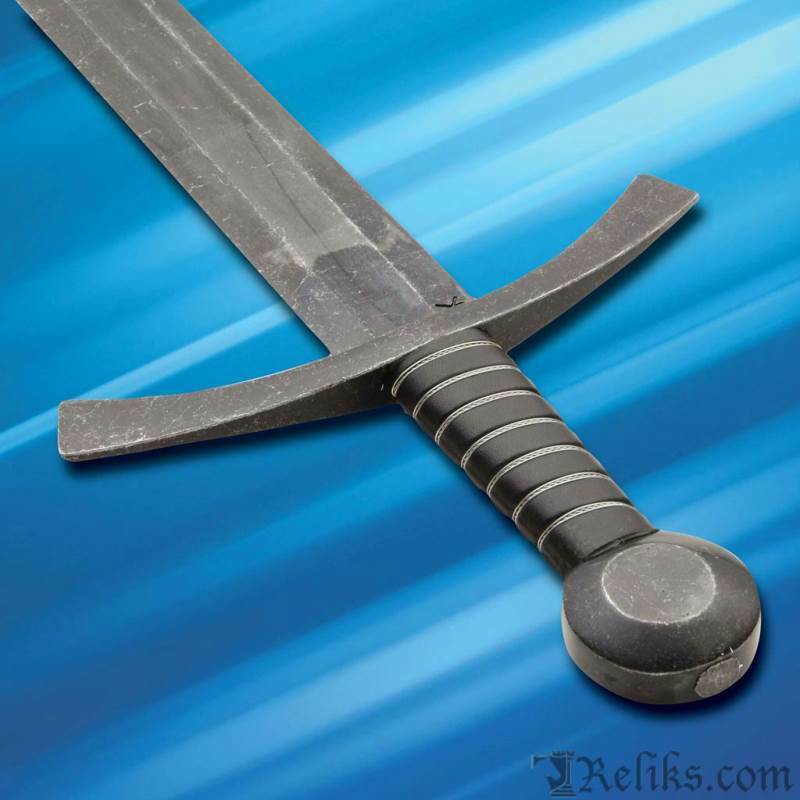 Battlcry Sword Hanger Frog - The battlecry swords come with a very well built attachable sword hanger or frog. 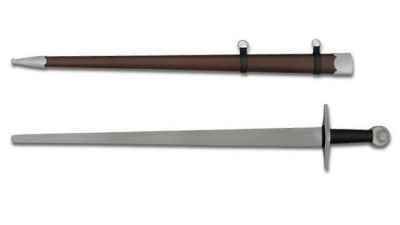 Sword Hanger Frog - The Acre from Windlass BattleCry comes with an attachable sword hanger or frog. 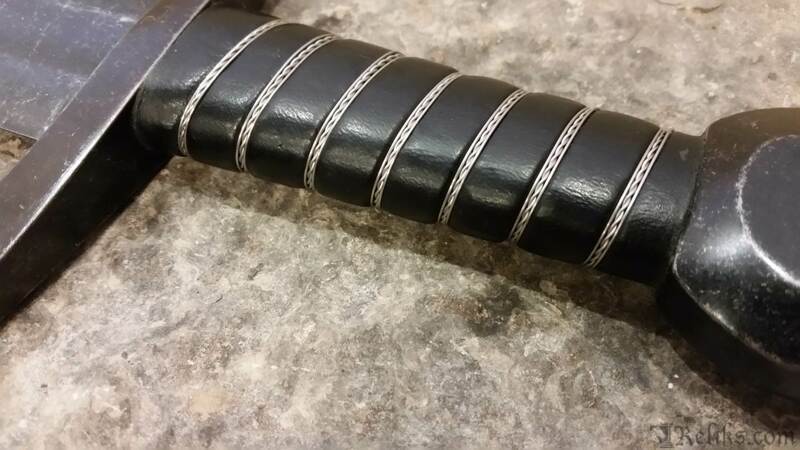 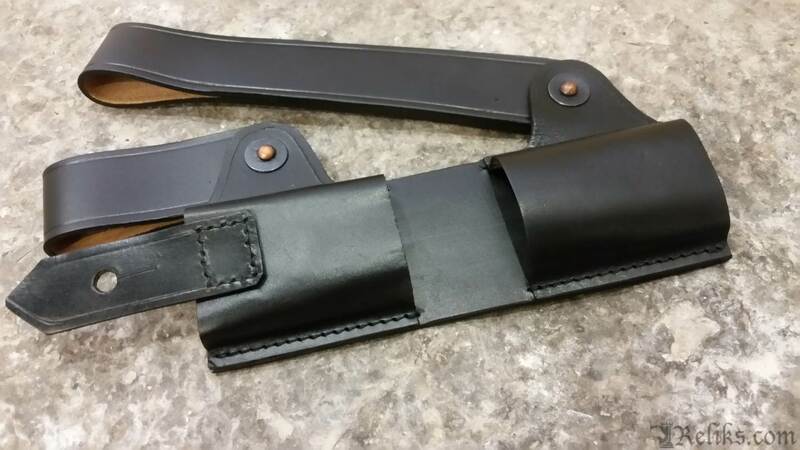 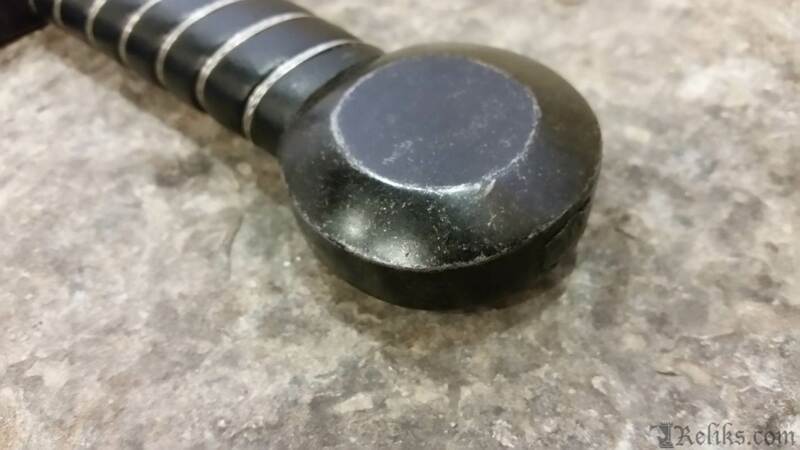 Wire Wrapped Leather Grip - The grip is wood wrapped in leather with a twisted wire wrap to finish.